Hello again! 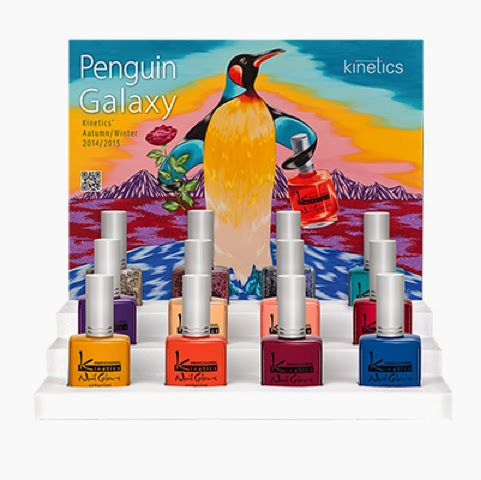 Today I have the second part of the Kinetics Penguin Galaxy collection to share with you all. 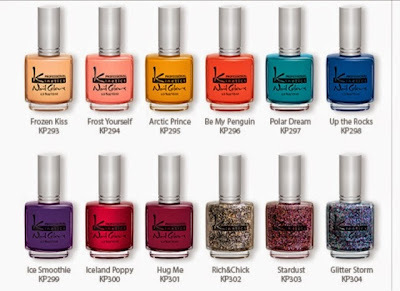 As mentioned in the previous post it is a 12 piece collection consisting of mostly creme polishes, some glitter and a frost. "The new leading hues comprise – mustard yellow “Arctic Prince” and the red hot “Hug Me” that’s a must-have shade for every ladies beauty collection. 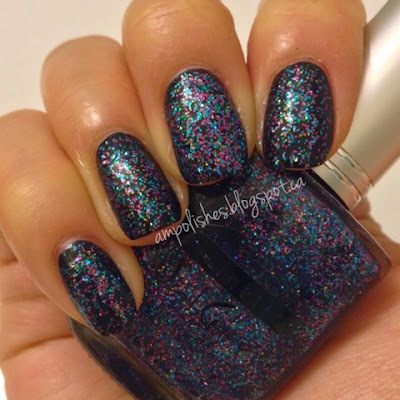 Another great addition is the three colorful and sparkling glitters “Rich & Chick”, “Stardust” and “Glitter Storm”, which will be an excellent complement to perk up any party gown or after-dark ensemble." 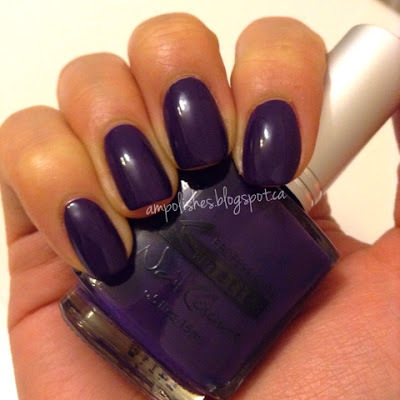 Iced Smoothie is a dark purple creme polish, it applied easily and had a great formula. 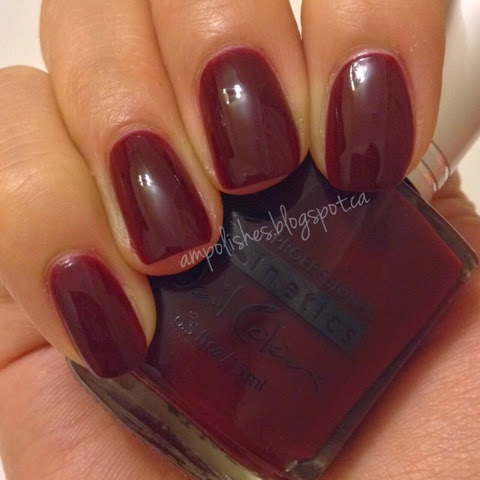 I only needed 1 thick coat to get full coverage but opted for 1 more layer since I was taking pictures. 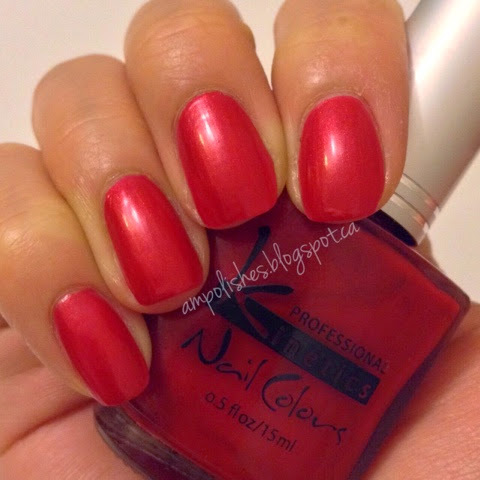 Colour wise it isn't something too different but I would categorize it as a staple shade needed in any polish collection. Iceland Poppy is seasonal holiday red that has a metallic look to it. 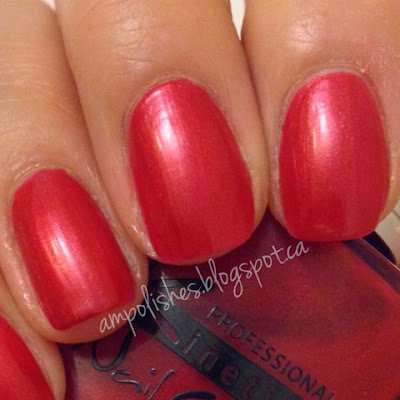 These types of metallics reds always reminds me of Christmas for some reason. I thought the application of this polish was pretty good and I only needed 2 coats to get full coverage. 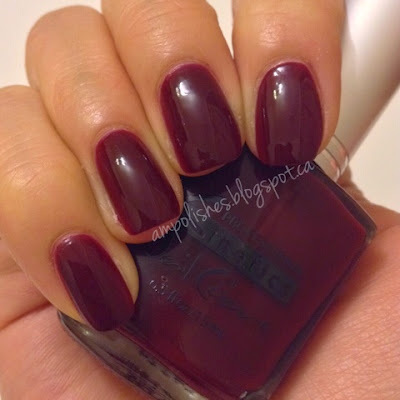 Hug Me is a vampy oxblood red, the consistency was nice but it was a little on the sheer side when applied to the nail. I needed 3 coats to get rid of any bald patches. 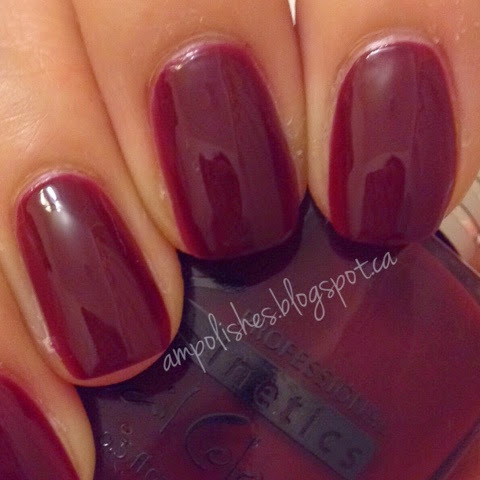 I think this colour is pretty flattering on all skin tonesm shades like this always remind me of fall or cooling weather. 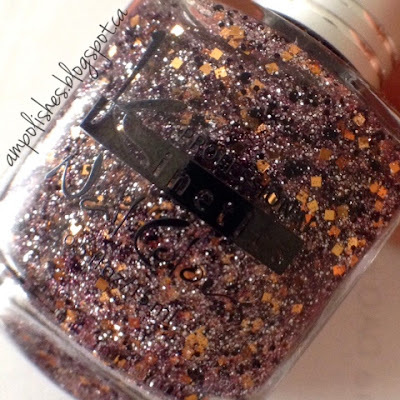 Rich & Chick is a multi sized glitter polish in a clear base. The glitter mix contains square copper glitters, two sizes of black hex glitters and a micro silvery pink glitter mix. The glitter pay off was excellent and only needed one coat in the swatches below. 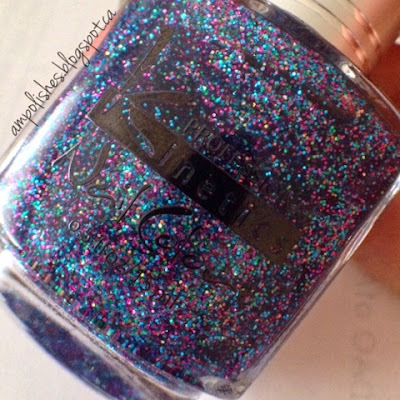 StardustStardust contains pink holographic bar glitters, red hex glitters and a micro red and purple glitters. The bar glitter was a bit difficult to apply and needed to be fished out. Otherwise the amount of glitter you get on the brush is quite generous and only one coat was needed in my swatches below. 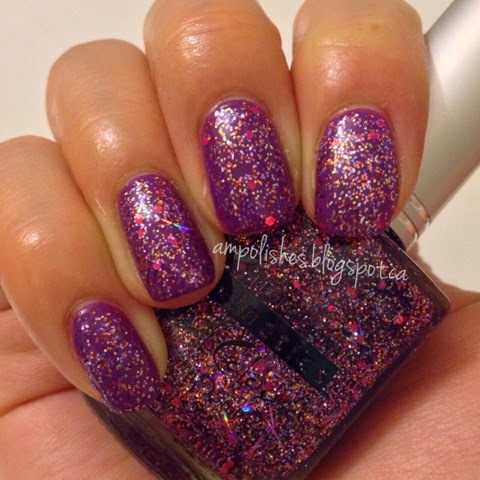 Glitter StormGlitter storm is micor glitter mix polish in a clear base. When the glitter is this fine its quite a task to pinpoint all the colours, upon closer inspection I would say the glitter mix consists of purple, fuchsia and teal. 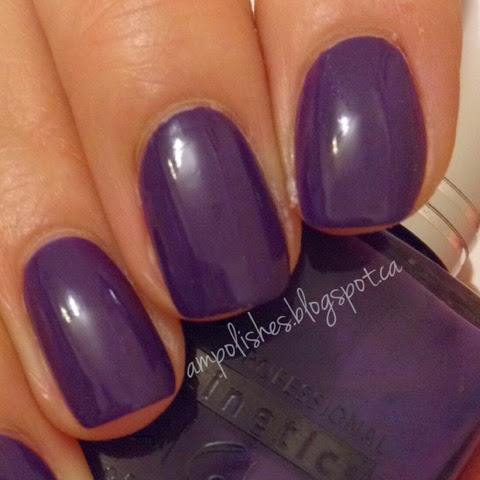 The colour combo reminds me of Mardi Gras, all it needs is a hint of yellow. 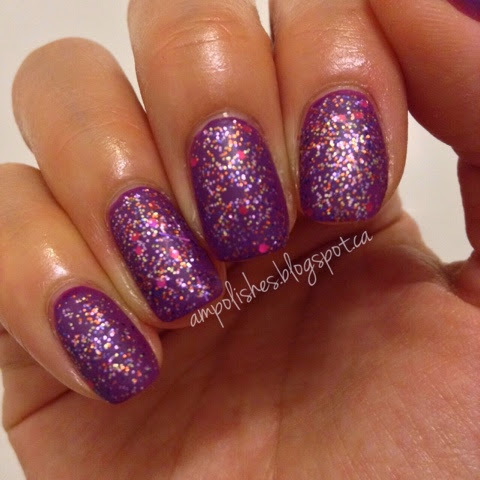 Loved how glitter dense this polish was. 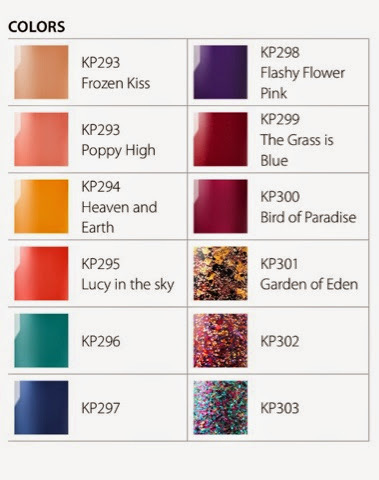 Again, only one layer was used in the swatches below.